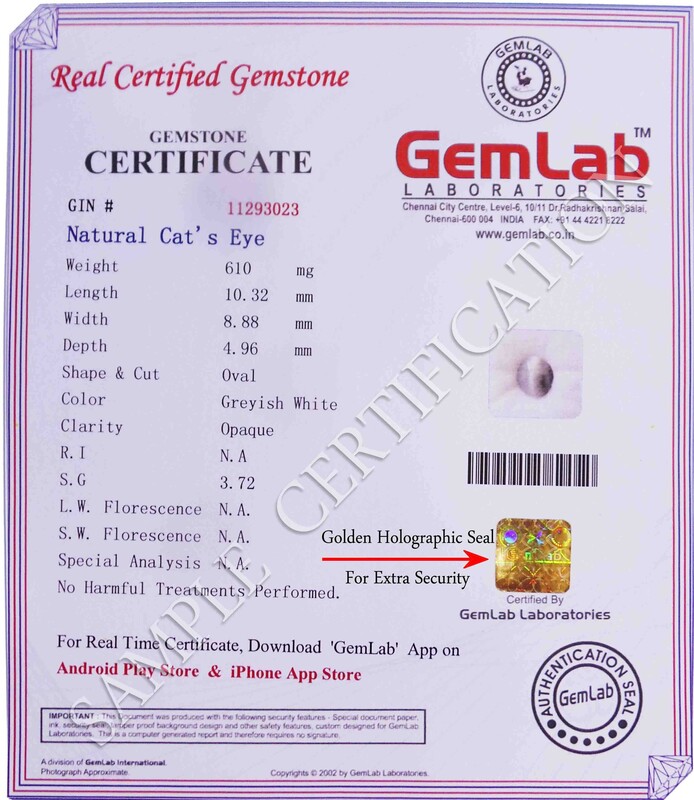 The Weight of Astrological Cats Eye Std 1 CT (1.67 Ratti) is 200 mg. The measurements are 6.76 X 5.96 X 3.79 (length x width x depth). The shape/cut-style of this gemstone is Oval. This Gemstone is available to order and can be shipped anywhere in the world. Gemstone certification is provided by GemLab. This natural astrological Cats Eye Gemstone originates from India.